Researchers at the Faculty of Life Sciences (LIFE), University of Copenhagen, can now unveil the results of the world's largest diet study: If you want to lose weight, you should maintain a diet that is high in proteins with more lean meat, low-fat dairy products and beans and fewer finely refined starch calories such as white bread and white rice. 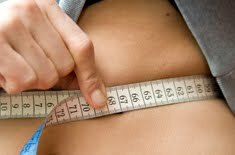 With this diet, you can also eat until you are full without counting calories and without gaining weight. Finally, the extensive study concludes that the official dietary recommendations are not sufficient for preventing obesity. The large-scale random study called Diogenes has investigated the optimum diet composition for preventing and treating obesity. The study was conducted by eight European research centres and headed by Thomas Meinert Larsen, PhD, and Professor Arne Astrup, DrMedSc and Head of Department at the Faculty of Life Sciences (LIFE) and is funded by an EU grant of EUR 14.5 million. The results were recently published in the distinguished New England Journal of Medicine and have already attracted considerable international attention. The results of the children's study have been published in a separate article in the American medical journal Pediatrics. In the families, there were 827 children who only participated in the diet intervention. Thus, they were never required to go on a diet or count calories – they simply followed the same diet as their parents. Approx. 45% of the children in these families were overweight. The results of the children's study were remarkable: In the group of children who maintained a high-protein, low-GI diet the prevalence of overweight dropped spontaneously from approx. 46% to 39% – a decrease of approx. 15%.